I have been working on trying to be more helpful at home by cooking more often. Not only does it give GB a break, but it also improves my cooking skills. Mini-lasagna cups have been floating all over Pinterest. I decided to give it a whirl. The recipe I used was found at the Catching Fireflies blog/website. What is so incredible about stumbling upon this recipe is Catching Fireflies is one of my all time favorite local shops. It sells all sorts of great home goods and gifts. If you are local to Michigan you MUST swing by Berkley to fall in love with Catching Fireflies, as I have. If not local - peruse their website, I promise it's worth your time. April over at Catching Fireflies initially found the recipe at The Girl Who Ate Everything. 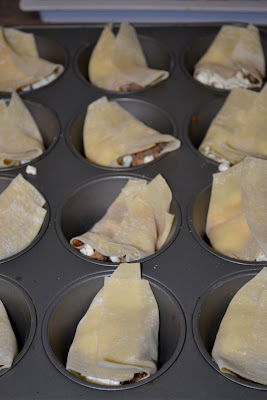 I started by ripping the wrappers (they were too big) into two, and placing each section in a muffin tin. At this point, things got kind of crazy and I started layering the ingredients without thinking about what order made sense. It turns out there is a preferred order. The following is my first muffin pan full of attempted mini-lasagnas. After I realized I should try a different method, I filled another pan full of wonton wrappers and set to work. This time, I layered sauce first, followed by cottage cheese. 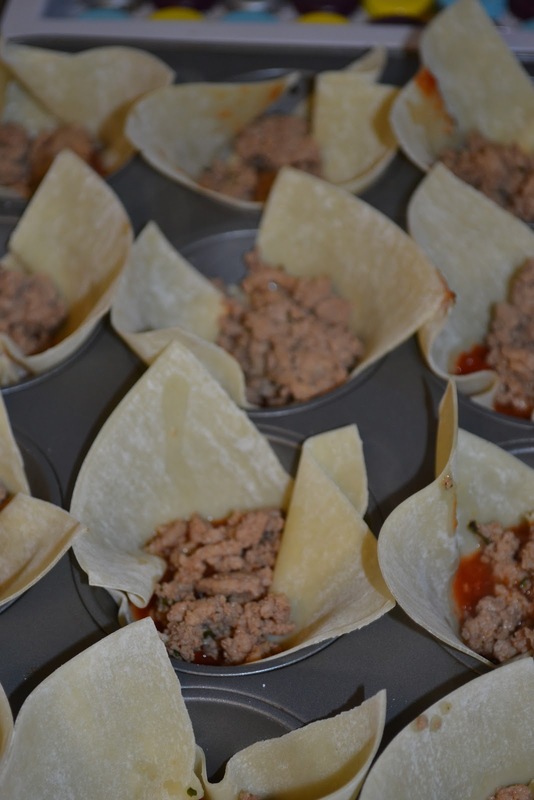 Next I added the ground turkey and mozzarella. 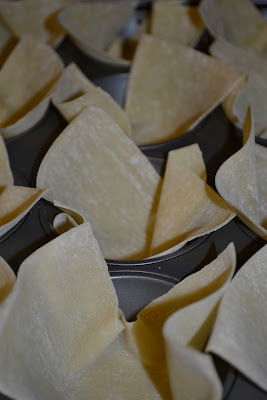 These bad boys were too big to close, so I had to add extra wonton wrappers to cover the inside. 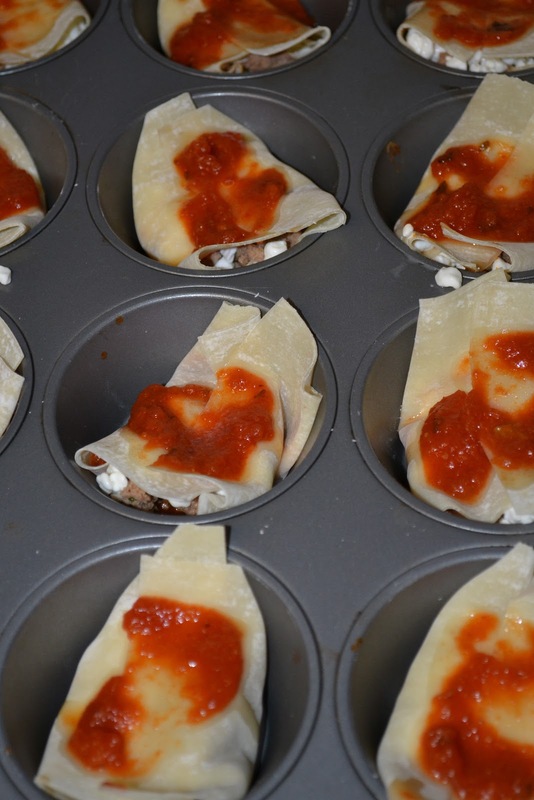 Last I topped my mini friends with a bit more sauce and Parmesan. 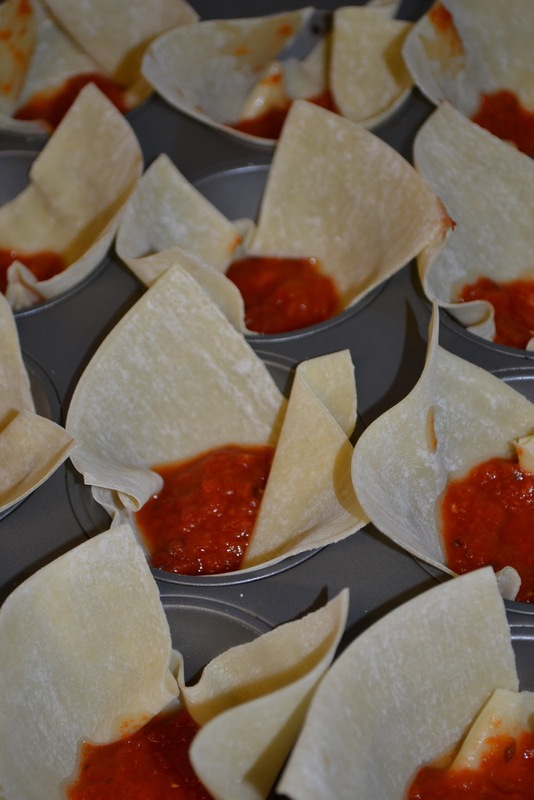 I baked the cups at 375 degrees for about 20 minutes. The house smelled delicious. Verdict: INCREDIBLE! 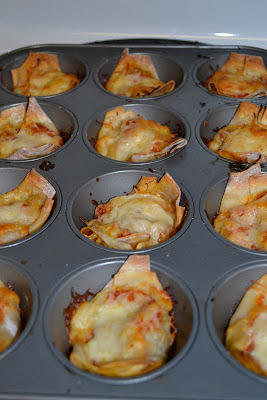 These mini lasagna cups were delicious. I was most happy because GB loved them so much. Since I made way too many to consume in one meal, he was eating them for days. 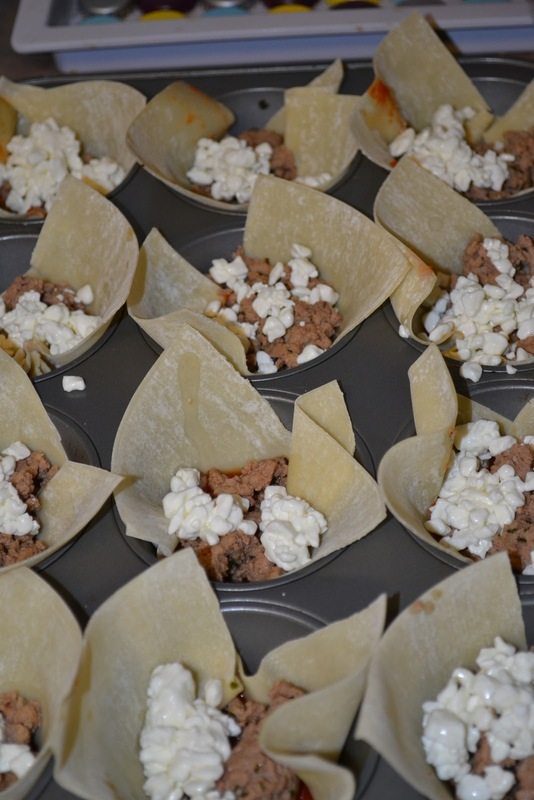 He referred to them as "meat cupcakes." He said they were everything a man wanted. I'm finding it is true what they say - the way to a man's heart is through his stomach. I would definitely recommend giving this a try!